If you’re planning your holiday in Greece this summer, taking the time to visit the breath-taking cultural sights the country has to offer is an experience you won’t forget. Alongside the idyllic beaches, there is a rich history to discover and explore. Below, we’ve compiled a short list of some of the places you should see during your trip to fully immerse yourself into the fascinating culture the country has to offer. At the heart of Greece’s cultural heritage, is the capital city, Athens and the incredible Acropolis. This historical site is one of the world’s most famous landmarks and a true sight to behold. This monument is a chance to view the architectural brilliance of Ancient Greece with the famous Parthenon taking centre stage. 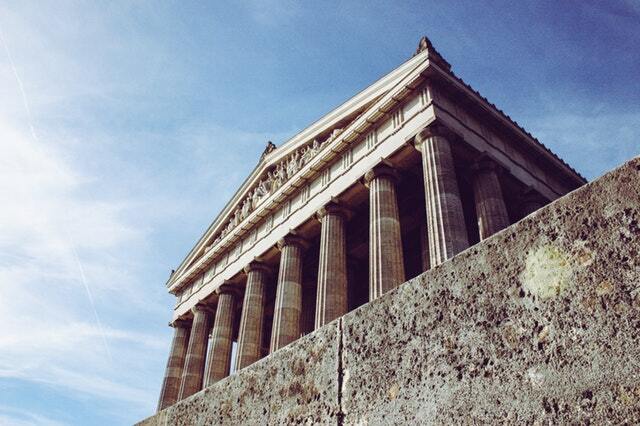 To fully appreciate the cultural history of this site, a visit to the Acropolis Museum is also recommended. The museum includes a wealth of information and a whole range of important artefacts from the city’s history. There is also a variety of other historical sites to see in Athens mixed in with contemporary bars and restaurants, ensuring a comfortable visit. Lonely Planet offers an extensive list of these attractions including stadiums, temples, cathedrals and galleries. Situated within the beautiful landscapes of Olympia you will find the impressive remains of the stadium where the original Olympic Games took place, according to Ancient-Greece.org, in 776 BCE. This event’s legacy lives on in society today, as the modern-day Olympics remain one of the world’s most popular sporting events. This historical site is also surrounded by various other cultural attractions including the remains of the temple dedicated to the Greek God, Zeus. These artefacts represent an iconic part of the culture of Greece and are a must see on your visit to the country. It is impossible to talk about the sights Greece has to offer without mentioning the jaw-dropping views of Santorini. The island boasts some of the most romantic sunsets on earth with the iconic multi-coloured cliffs creating a spectacular backdrop – you’ll be sure to need a camera! Behind these stunning views lies an interesting history to explore, as the modern-day landscape is actually a result of a catastrophic volcanic eruption. This natural disaster caused the centre of the island to collapse which created the unique shape of Santorini’s cliffs we recognise today. There are also other lasting remains of the island’s volcanic past to see including the dark sands that add to the charm of the unforgettable beaches. It is no wonder this picturesque island is a bucket list destination for many! The ideal way to experience the many breath-taking views of Greece is on a sailing holiday. At The Big Sail, we offer a range of pre-planned routes as well as the option to charter a private skippered yacht to explore any areas of Greece you have in mind. Find out more about how you can embark on your private yacht holiday today.